Whether you need service for your Hardware or Software, the process is simple and easy – just click the CREATE NEW SERVICE REQUEST button below. If you would like to check the status of a service request that you have already submitted, click on the VIEW SERVICE REQUEST STATUS button. Welcome to the Lowry Solutions online service request ticket system which allows you to effortlessly create a new service request. Once your service ticket is created and submitted, you will have the ability to check the status of your service request in real time! Prefer to submit you request by phone or email? No Problem! Call us directly at 1-800-733-0010 or use our alternate submission form below. Request a Customized Service Contract Quote NOW! Maintain production schedules - reduce down-time - stay PROFITABLE! Did you know that an Onsite or Depot maintenance agreement can pay for itself with just one repair? Protect your investment by choosing from a wide-range of Onsite and Depot service levels based on your budgetary requirements. With more than four decades of experience in the industry, Lowry is your trusted Authorized Service Provider for name brand products including Zebra, Honeywell, Paragon Print and Apply, Printronix, Intermec, Datamax, SATO, TEC, Motorola, Hewlett-Packard, and most leading manufacturers. Whether you need simple break-fix or full managed services, Lowry streamlines maintenance and support for hardware and software across your multi-vendor environment. As your single point of contact, Lowry’s helpdesk offers factory-trained and certified technicians who will confirm the symptoms, diagnose the problem and resolve it over the phone or coordinate Onsite or Depot repair when needed. Requests can be made 24 hours a day any day of the week. Our most cost-effective solution for your mobile devices and portable desktop printers. Experienced trained technicians repair your devices from our service center. We also offer Advanced Exchange Services to maximize protection for your devices – we’ll manage your installed equipment using a customer-owned spare pool. When needed, we’ll simply ship the pre-configured unit overnight. When you can’t wait for repairs and support, or when a product would be inconvenient to ship, we send an expert to your location. To get you back up and running, we can even ship the needed parts so they’re on-hand when the technician arrives. 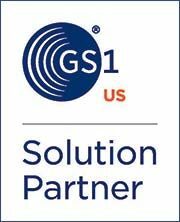 Our Onsite Support agreements provide comprehensive coverage and come in a variety of flexible plans. Many of today’s complex traceability solutions integrate hardware, software, supplies, networking, mobile devices, and even legacy applications. That’s why we created Total Solutions Support. We can help make sure all of the components and software in your system are working correctly. We can also diagnose and fix problems related to other elements in your supply chain.